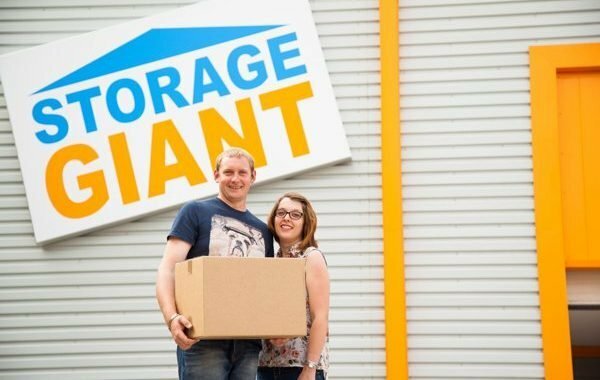 Finalists have been announced for the expanded Monmouthshire Business Awards, with private self storage company, Storage Giant Ltd having caught the judges eyes in the key Business of the Year category. The shortlisted companies across ten categories are all operating within the Old Monmouthshire area and all show a commitment to nurturing deep-rooted business success, which is an asset to the local economy and to the communities within the area. Simon Williams is Managing Director of Storage Giant, one of the shortlisted firms. His company has grown from a single site in Newport back in 2007, to a multi million pound turnover concern – the second largest private self storage firm in the UK, with nine current trading sites across Wales and England and three more in development. Simon, who is Newport born and bred, and who retains the Leeway Estate site as the company HQ, says: “I’m very pleased that Storage Giant is one of the shortlisted firms for this year’ Monmouthshire Business Awards, alongside some strong contenders, all operating interesting businesses. Businesses across Wales and the Monmouthshire region are working hard to create stable, useful, profitable firms which add value to the local economy and create employment within their communities. The Old Monmouthshire region, covered by the awards, includes the towns and cities that were part of the county prior to 1965 and the categories include Best Small Business, Excellence in Manufacturing, Hospitality, Travel and Tourism, Company of the Year, Excellence in Small Food and Drink Producers, Young Apprentice, Young Entrepreneur, New Business Start-Up, Excellence in Innovation, Excellence in Marketing, Excellence in Exporting and International Trade.